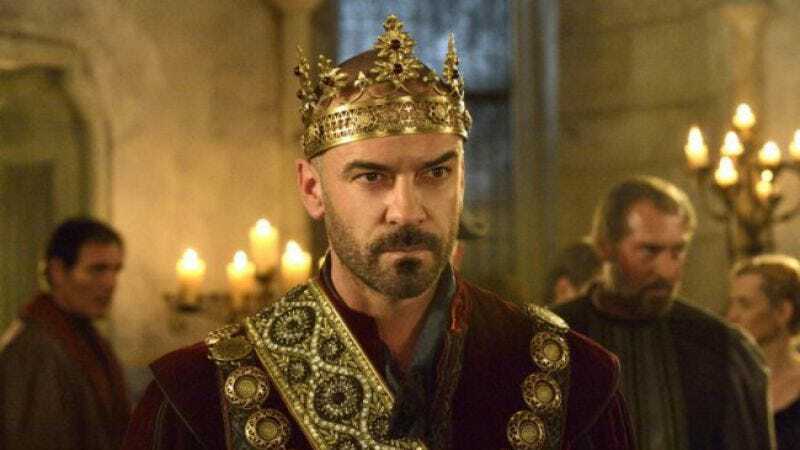 Reign’s Alan Van Sprang will rely on herkies, liberties, and the occasional CIA Skyhook to train three well-connected high school students in the art of international espionage on a new show from The CW, Deadline reports. In Cheerleader Death Squad, Van Sprang will play Stone, a former CIA agent turned teacher at a Washington, DC prep school who uses his intense eyebrows, cold stare, and intelligence network to teach three students to act as his eyes and ears in the field. Abbie Cobb and Gia Mantegna have been cast as Maddie and Grace, two-thirds of the mean girl mob—a significant social climb from their nerdette roles on ABC’s Suburgatory and The Middle. An as-yet-uncast young sea witch will play Ursula, the third squad member, while The Glee Project’s Aylin Bayramoglu appears as Fatima, a lonely classmate no one seems to notice. The young women of Cheerleader Death Squad will presumably split their time between fighting crime and trying to make “fetch” happen. As we previously reported, the show comes from Desperate Housewives creator Marc Cherry and Mean Girls director Mark Waters, who will squeeze in work on Cheerleader Death Squad in between trying to make the “edgy” movie reboot of Sabrina The Teenage Witch happen.